Chevy trucks are celebrating their 100th birthday this year, with the 2018 model year marking the 100th anniversary of the first-ever Chevy trucks. The brand debuted the half-ton Light Delivery and the One-Ton truck way back in 1918, and Chevy has a variety of plans in the works to celebrate the big anniversary. Keep reading to learn all of the important details! In an effort to celebrate the 100th birthday of its trucks, Chevy will be releasing two special-edition models. 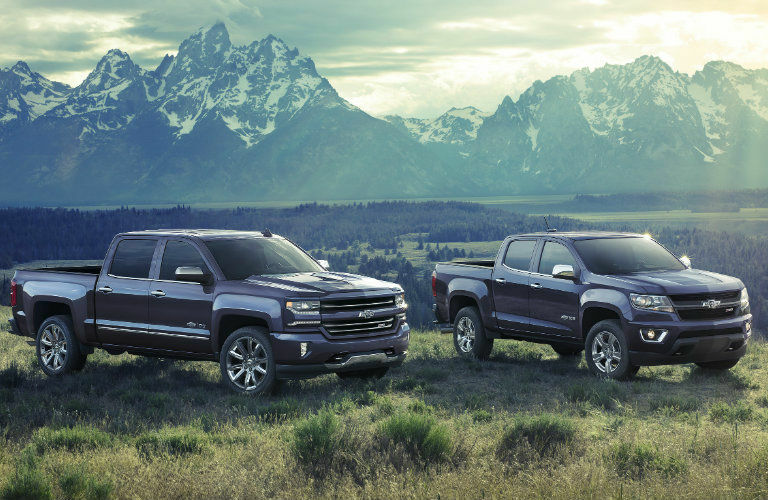 Both the Silverado and Colorado will arrive with Centennial Editions, which will come in the Centennial Blue body paint color and will feature front and rear heritage bowtie emblems, a 100-year door badge, and accessory floor liners with heritage bowtie emblems. In addition to the two new special-edition trucks that will be released, Chevy will also celebrate by rolling out a new Truck Legends Program for Chevy loyalists. To qualify for the program, Chevy truck owners simply need to own a Chevy truck with more than 100,000 miles on the odometer or have purchased or leased more than one new Chevy truck in their lifetime. Members of the program will receive branded merchandise, access to an exclusive online community, and other special opportunities. Have additional questions about any of the trucks within Chevy’s lineup? If so, don’t hesitate to contact our team here at Lanoue Chevrolet! We’ll be happy to answer any questions you may have. And if you’re ready to get behind the wheel of any pickup in our inventory, we’ll get you in the driver’s seat!